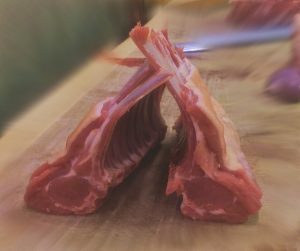 Goat Ireland is the premier supplier of Chévron(goat), Mutton, Lamb and Rosé Veal meat to the Irish and UK markets. We pride ourselves on the sustainability and naturally reared nature of our product. Goat meat is high protein, low fat (3%) meat, goat meat is perfect for health and body conscious consumers. A fabulous swap from chicken or turkey. It’s natural flavours are highly sought after by celebrity chefs and artisan restaurants. We also supply other meat in the form of mutton & lamb and a select quantity of rosé veal. We rear goats for meat, and why not? It’s the world’s most widely eaten meat. Although not a regular feature on Irish dinner plates, it should be. Goat meat is not only very tasty, it is high in protein and low in fat. 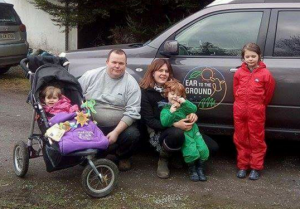 We needed to find another way to farm our 32 acre ex-dairy farm on a tight budget and a new venture into Goat meat seemed the right path for us. We rear ethically-sourced “surplus” dairy goats for their meat. These goats are classed as “surplus” because the majority of goats born on dairy farms are not need to join the herd and are often put to death immediately. While we thought that giving a new purpose to these “surplus” goats was a good idea unfortunately the kids from current breeds of dairy goats don’t grow a lot of meat (they are effectively the holstein of the goat world). 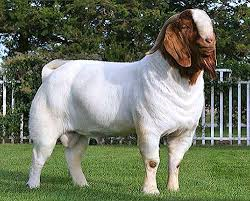 The research began and we sourced Boer goats, these are a heavy-set & muscled goat ideal for meat rearing. 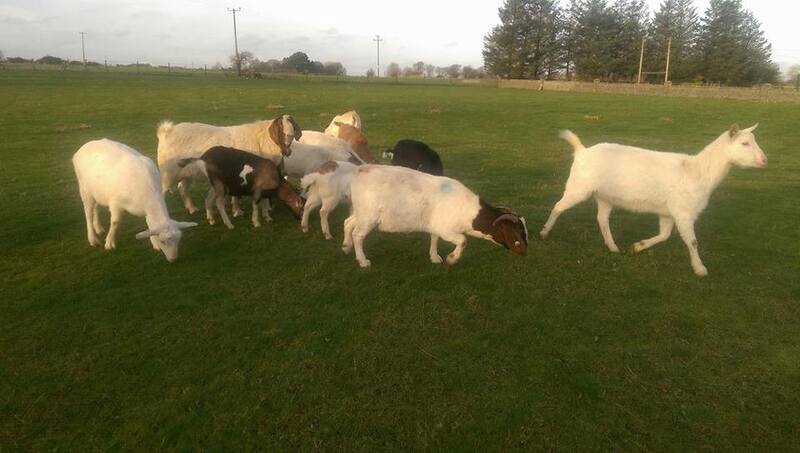 Paul, always thinking of a way forward, has placed Boer bucks (males) in dairy goat herds across Ireland. The Boer buck covers the surplus does (females), keeping them in milk and we purchase all their offspring kids giving them a further purpose in life. These 50/50 crosses are ideal for producing quality goat meat and finish anywhere between 6-8 months. While goat milk & cheese are popular in Ireland the meat of this animal is much less well known. This South African developed breed are reared for their high-yield carcass weights and excellent food conversion rates. We have introduced this breed to our goat dairy farm partners to produce a 50/50 offspring of Boer & Dairy breeds to produce a quality goat meat product. We work in partnership with Local Artisan Butchers and abattoirs in our area. We can have the carcass and cuts of meat prepared to your specification, including halal. As this is a bespoke product please leave plenty of time for your order to be filled (at least one week). From time to time we may have a number of breeding animals for sale, both pure-bred Boer and crosses. Please contact us directly for details of current stock options. The formula has been optimised and tested on our herd and with our network of farmers rearing a quality goat meat product. Please note that delivery of the feed is not included in the cost listed. Contact us for bulk orders and delivery prices. 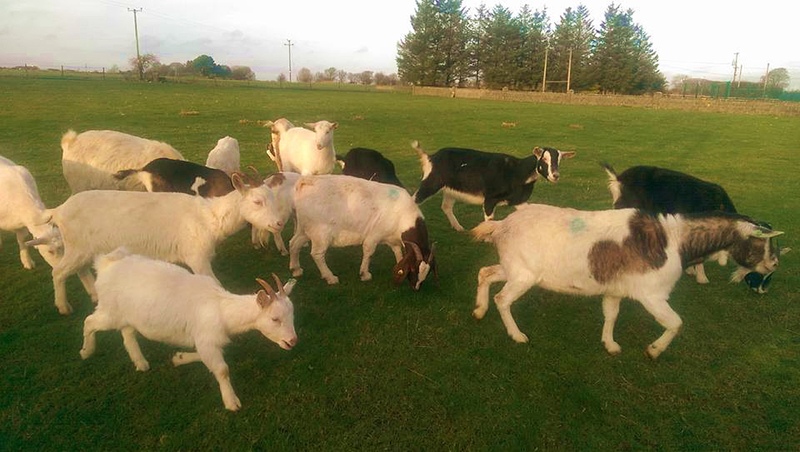 Irwin’s Feed is the manufacturer of a special ration suitable for the high potential goats that Paul Davis and the team at Goat Ireland produce. The ration has been specially designed from top quality raw materials, with maize, sugar beet, barley and soya bean meal etc ensuring top performance. With long experience of feeding goats we have developed the correct balance of trace elements and vitamins for optimum performance in a convenient pellet.